Klaus is on damage control this week. Well, so is Elijah. They just care about different things getting hurt. 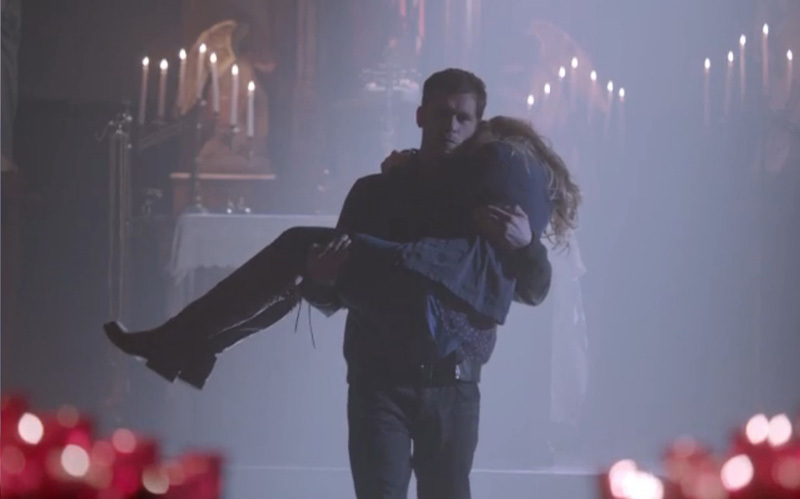 Klaus wants to spare Camille any more pain regarding her (literally) cursed (hexed) family members. Elijah wants people to stop blowing up the wolf compounds. Which people? There are many candidates, and vampire compulsion (Marcel) and gambling debts (humans) are mentioned as motivators for the kamikazes. 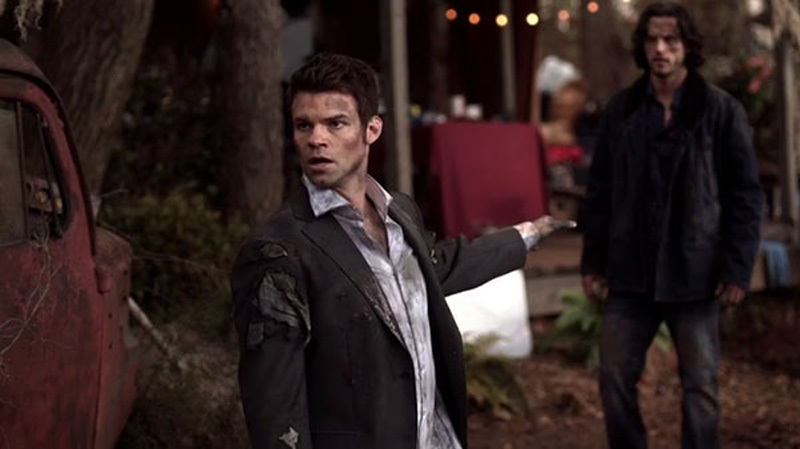 Elijah spends most of the episode crusted in dirt and trying to pick up injured wolves. Still looking great, because he’s Daniel Gilles. Hayley’s friend and mentor Eve refuses vampire blood to heal after a house falls on her (probably for the best, considering), but it didn’t matter as Oliver has to murder her anyway when she figures out he staged the bombing in order to motivate the wolves (promised moonlight rings and a reigning queen and so many other desirable morsels recently tempting everyone) to militancy. Here’s me wishing Rebekah had eaten him when she had the chance. Hayley runs to Marcel with an improvised stake, but it’s really she who ends up gobsmacked, when he lets her know that it was he who saved her as an orphan baby when her parents were killed. This fits in well because we know Marcel has a thing for kids (he won’t let children get hurt, which is how he ended up with Davina in the first place), but she can’t quite take in how much she owes him and that he’s not behind the bombings. 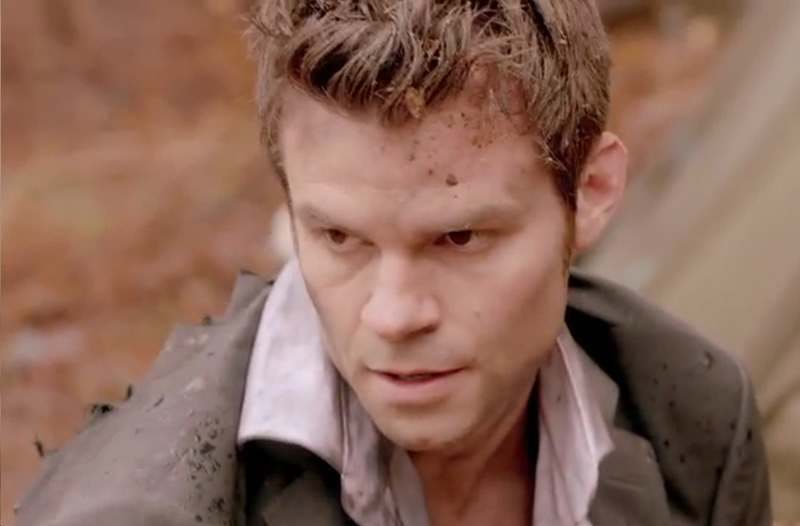 Elijah isn’t getting to the bottom of the wolf chaos (couldn’t he vamp-hear Eve’s death throes?) very quickly, but Klaus is doing everything he can to get Camille to face up to Kieran’s demise. The witches are really serious about their fate for the doomed Father, with Bastiana’s ghost showing up to taunt him further. Even killing him and vamping him doesn’t break the curse for long, and Klaus admits he only did it to give Camille time to say goodbye to her Uncle in a lucid moment (because he knew Kieran, a “good man,” would never willingly drink human blood and complete the transition). The curse does cause him to do so, but he doesn’t survive much longer. Klaus’ concern for Camille throughout (even as she has Josh compel a doctor to give the Father electro-shock in desperation) is both unexpected and completely believable. As is the moment when the two feuding brothers decide to collaborate, and explain their motivations to each other. Poor communication, that’s what usually drives the plot on this show. The three threads this week seem to be our impending formula for season two, two vamps and one wolf rather than three vamps. The wolves are going to have to become a lot more interesting for Rebekah not to be greatly missed, and Eve’s death won’t help.